Fixed a bug when submitting a review photo. New improved icon buttons in the detail view. I do a lot of off the grid traveling in my truck camper during the winter months. 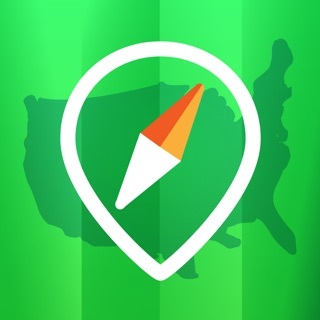 I got this app to help me find free or inexpensive camping locations. It’s very useful for that and I can recommend it. Unfortunately, the developer relies on Apple Maps, which includes terribly outdated satellite view images. How can someone get an idea of the terrain and roads in a remote area they plan to travel to when the satellite images are three or four or more years old? For example, on a recent visit to Wickenburg, AZ, I looked at camping options north of town. Apple Maps satellite view showed roads under construction for what has since become a huge subdivision with more than 400 homes. Those homes didn’t get there overnight. Why is Apple’s data so out of date? Why would the developer utilize such misleading data? Google maps is much more up-to-date and reliable. I really wish the developer would make the switch or allow users to select the map data they prefer. Google maps are available with the latest release. This app is an invaluable resource that I’ve used for years, but unfortunately they removed their wonderfully convenient in app directions that made it simple to navigate offline. Now, if you want directions to a site you are exported to Apple maps, which will drop your trip if you make a stop or the app closes. Also, it repeatedly will somehow redirect to a random spot (seems to be the center of the closest town) rather than your campsite. Very frustrating and hinders the app’s offline usability, which was one of the best things about it. Why can’t you retain an option for in app navigation? Previously we had the option to use an external maps app or in app. At the very least please restore the listed directions so a user can save or screenshot them. Dear The Last Mole. Either you’re confused, or you’re reviewing a different app. This app never had specific in app navigation that worked offline. If you tap on a campground, then tap the route button on the bottom toolbar (waving arrow), you’ll see a route displayed between your location and the campground location. For a more comprehensive route for navigation purposes, go to the campground detail view, and tap the route button. A Google detailed route view is displayed between your location and the campground location. For a screenshot of this, see the 4th screenshot of this app at the App Store. The routing may or may not work offline. There’s no guarantee that it will work offline, and there never has been. It’s possible you’re using an old copy of the app, or you’re thinking of a different app, but this app has routing available in several formats. WIN - finding dispersed camping sites, as we prefer avoiding RVs and crowds, with off road overlanding rig and rooftop tent. BIG FAIL - heading to found site with “Central Water” listed and finding NO POTABLE water!! To avoid driving hundreds of miles with water weight we had relied on filling up at site. Instead, we trustingly set up camp COMPLETELY in 90* degree weather and headed down to “central water” to find it was not drinkable. We had to pack up site completely (it’s an RTT starched to car) to drive to a real water source, then set up camp again. Massive fail. Please make this critical distinction. We’re sorry for the inconvenience you encountered with regard to the water situation at your chosen campsite. We rely on various sources for our campground descriptions, since we obviously cannot visit in person all 37,160 locations in our database to verify details. If the information we find says the water is “non-potable”, we mention that. Without knowing the location to which you are referring, we cannot make the notation you suggest. If you would contact us with its name, we’ll correct it.